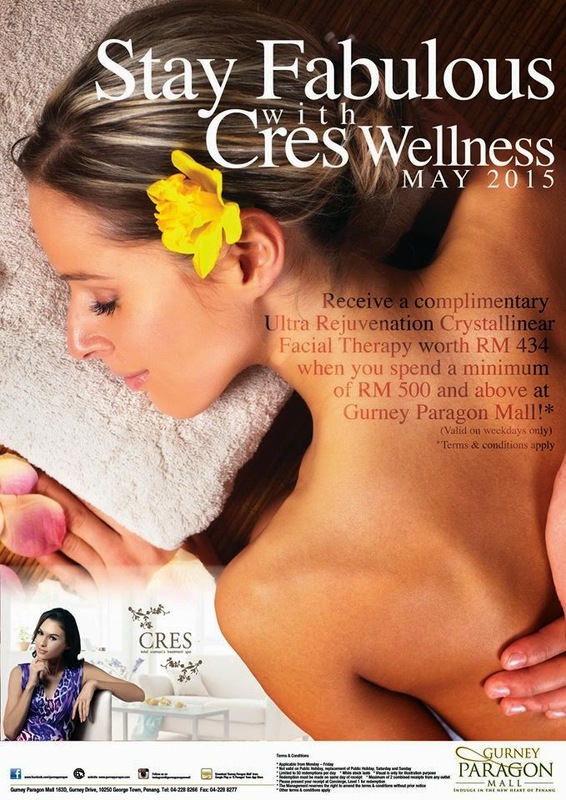 CRES Wellness stands for Confidence, Relaxation, Elegance and Sophistication. It is the flagship boutique of Cellnique which offers state of the art personalized beauty treatments from 30 of the latest cutting-edge beauty services, which include facials, hydrotherapy, and slimming courses. 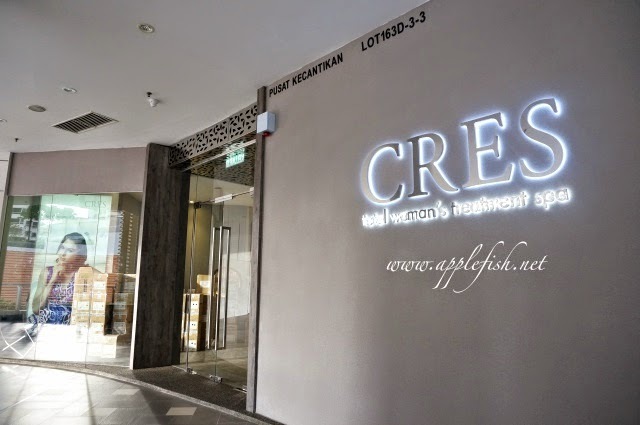 CRES has 9 outlets in KL, Malacca, Seremban, Cheras, USJ, Klang, IOI, The Gardens and Johor. 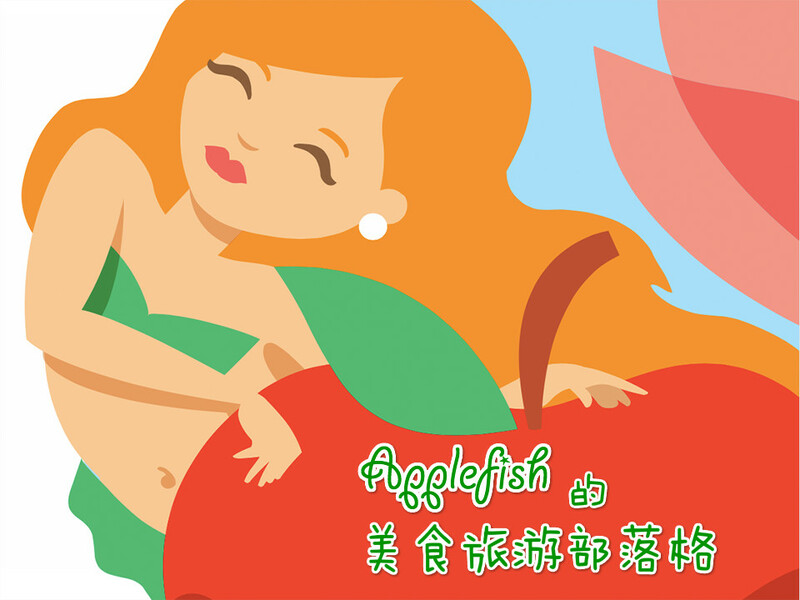 Since the end of April 2015, they have opened their 10th outlet in the northern region of Malaysia which located at level 3 of Gurney Paragon. I heard that there is a skin analysis machine before started their facial, but I didn’t get the analysis on the day I visited. 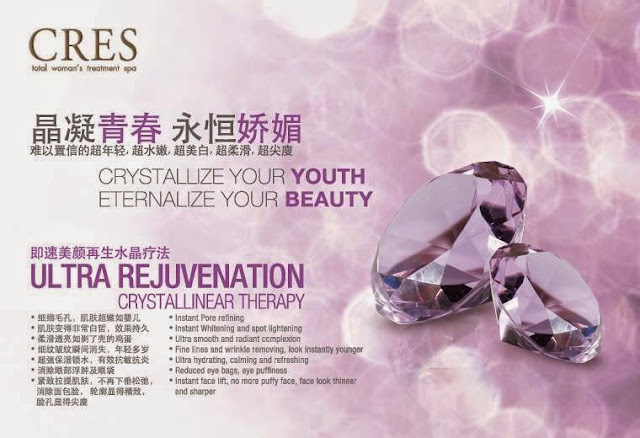 I tried Ultra Rejuvenation Crystallinear Therapy (RM434) during my visit. It is therapeutic treatment using real crystal for us to get instant V shape face. 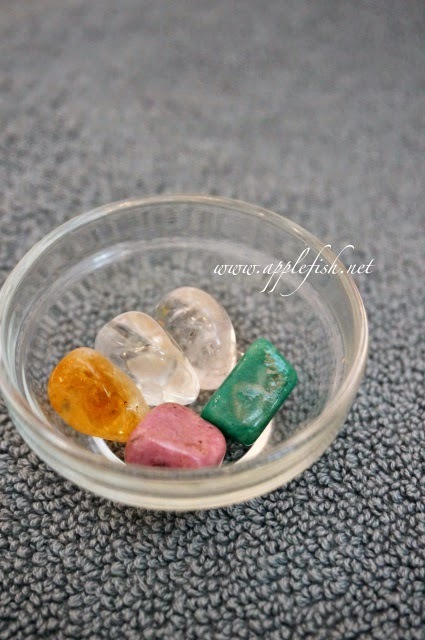 Besides using crystal, they are using RF machine which has lifting and firming qualities for tightening our pores. During the facial, the beautician did half of my face so that I could compare with the other half of my face that hadn’t undergone the RF. I could see and feel my face which went through the RF is firmer. It was a relaxing facial which took me around 2 hours time. Lastly, if you are interested in improving the appearance of your skin, call them at 017-2077 656 or 016-2077 173. Address: 163D-3-03, Persiaran Gurney, 10250 Penang.